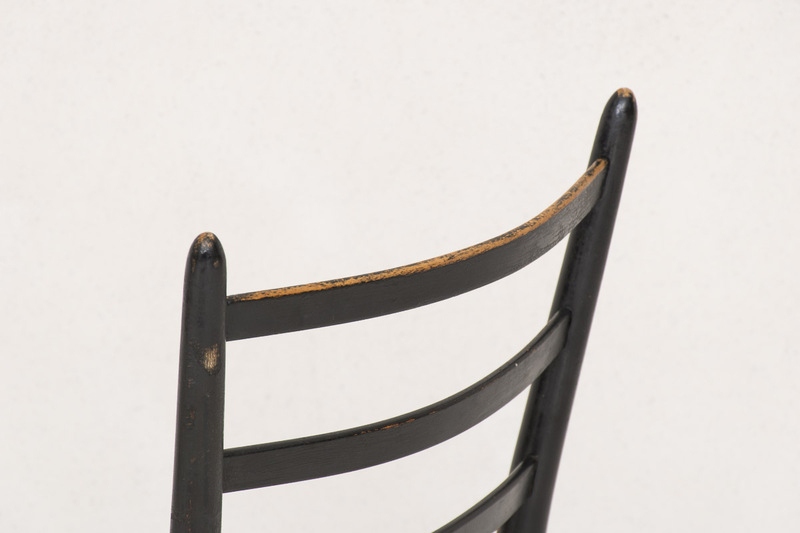 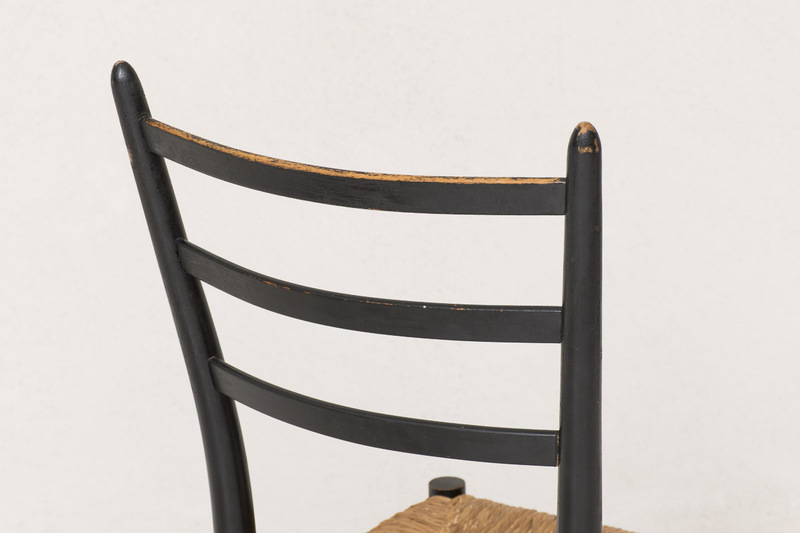 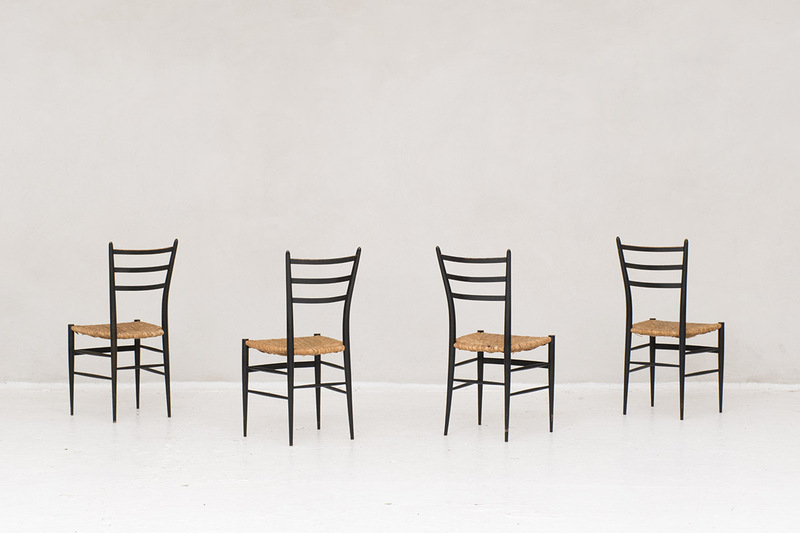 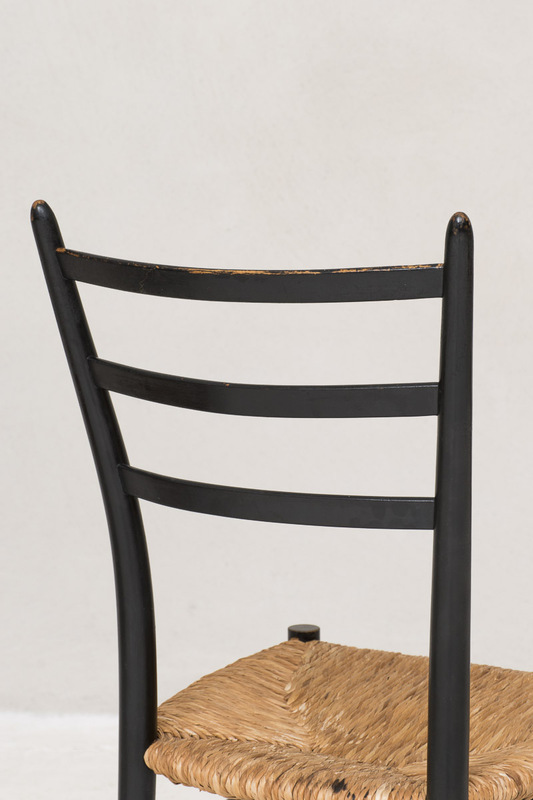 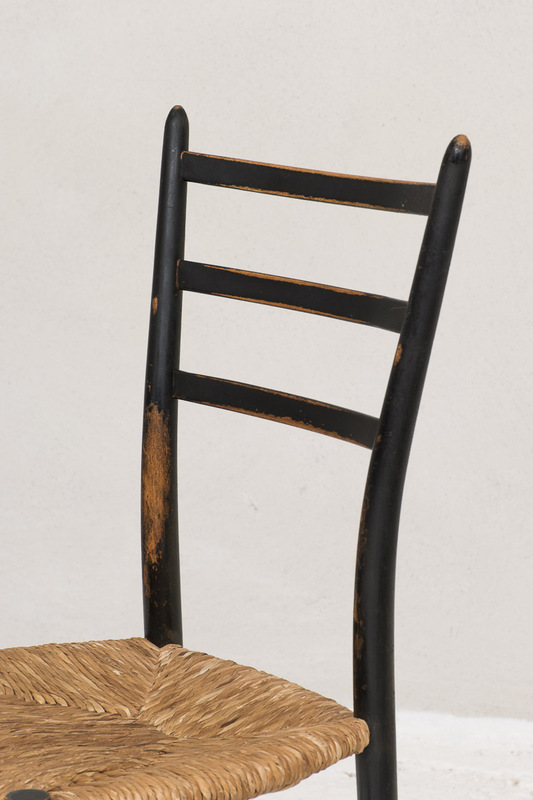 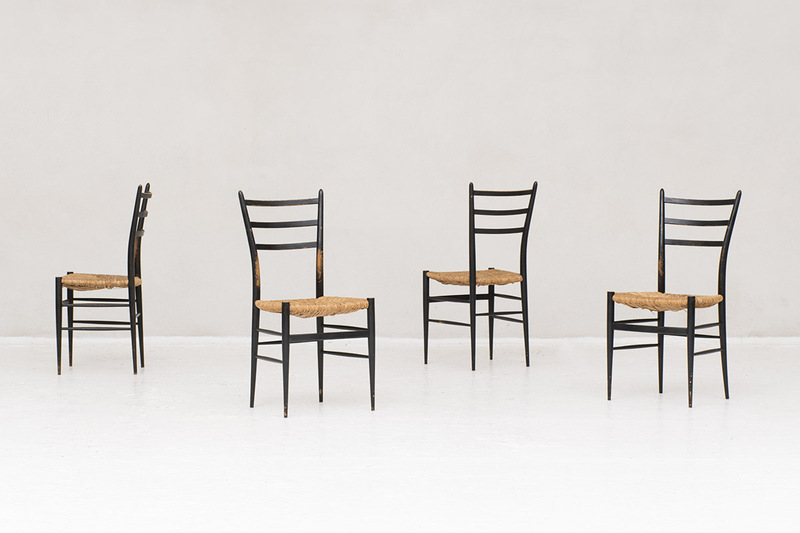 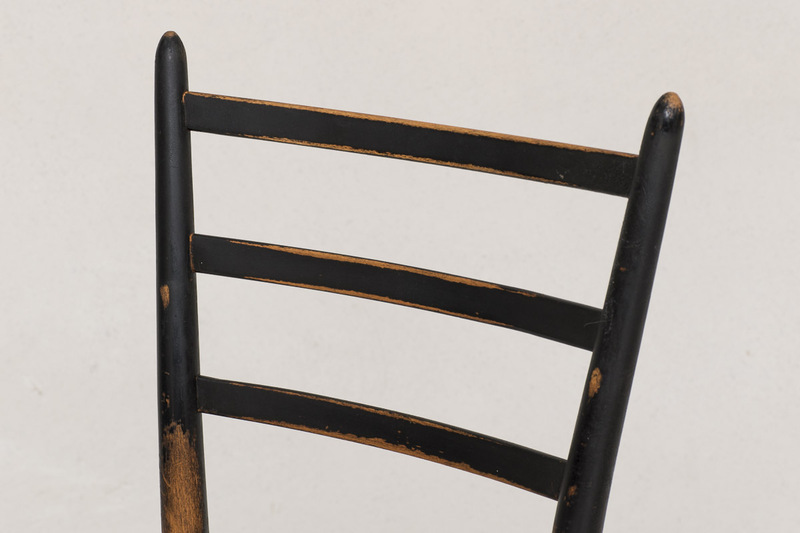 Set of 4 Spinetto dining chairs produced by Chiavari in Italy in the 1950’s. 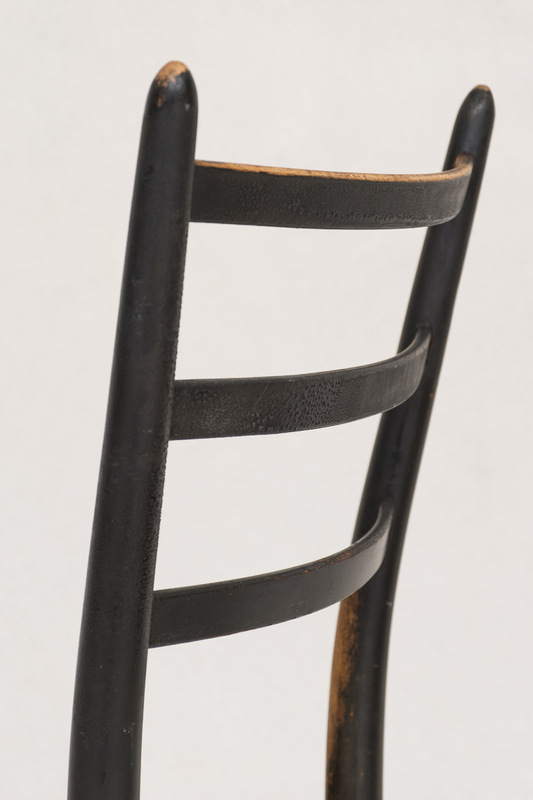 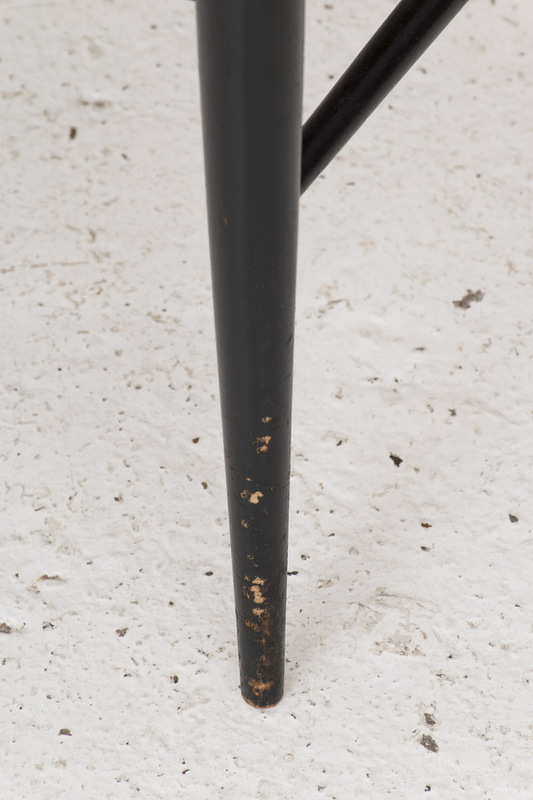 The elegant Spinetto chair, which functioned as the inspiration for the famous Superleggera chair by Gio Ponti. 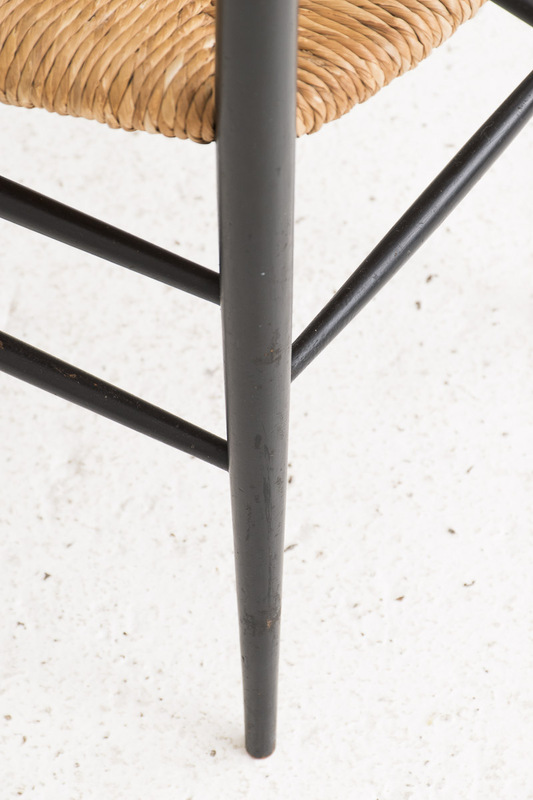 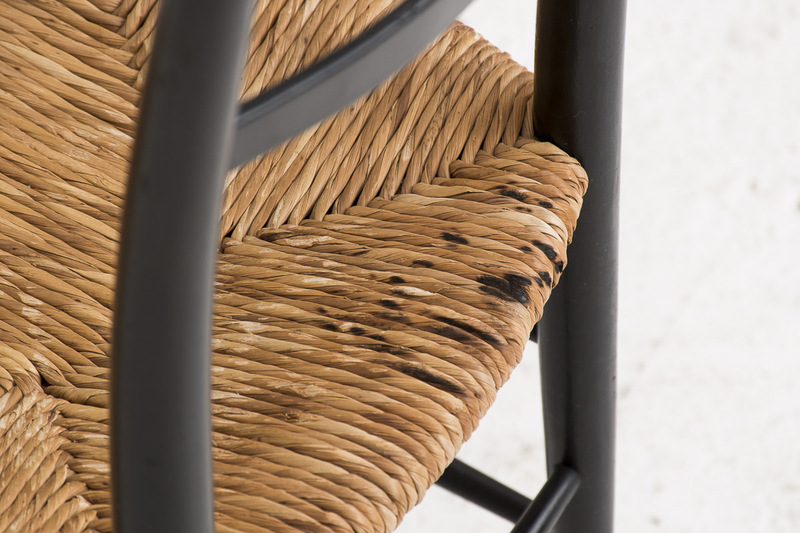 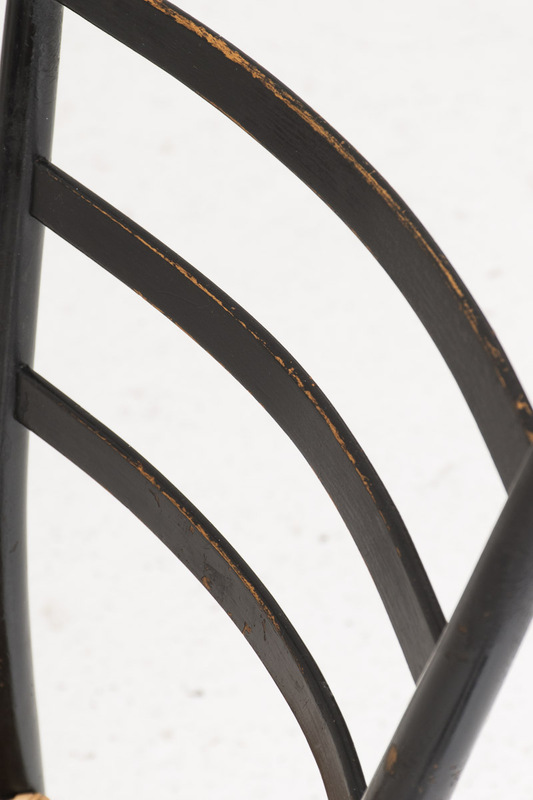 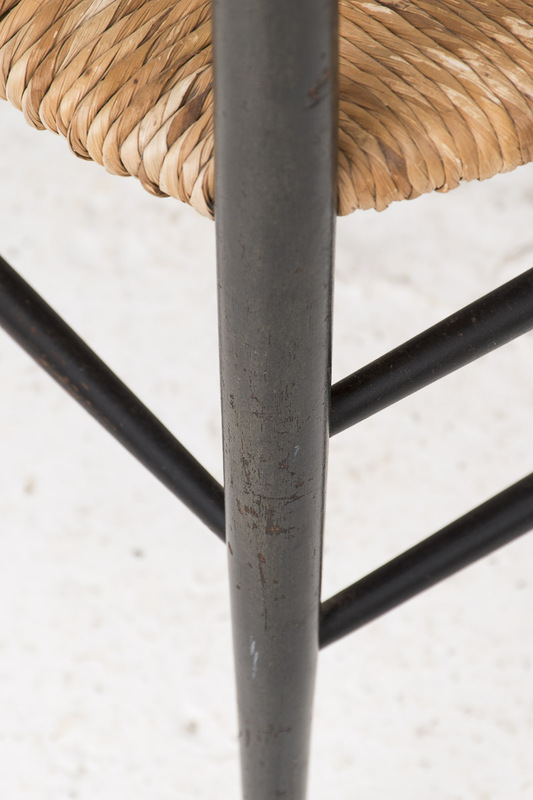 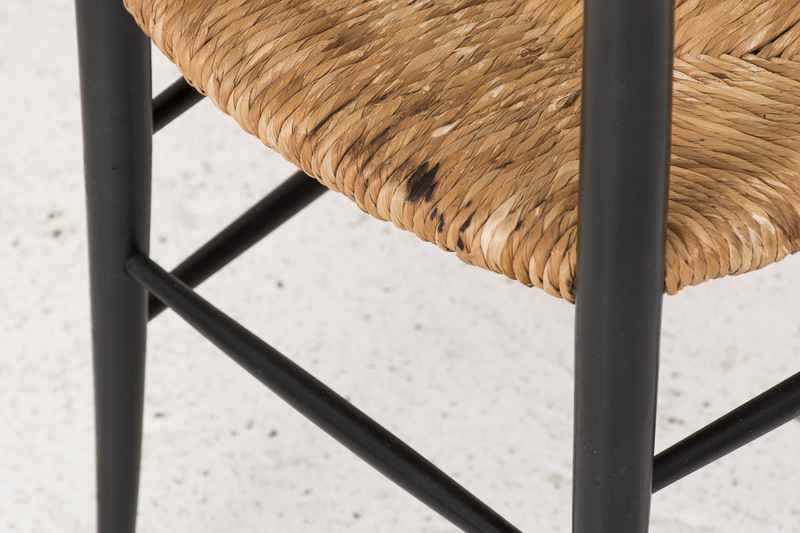 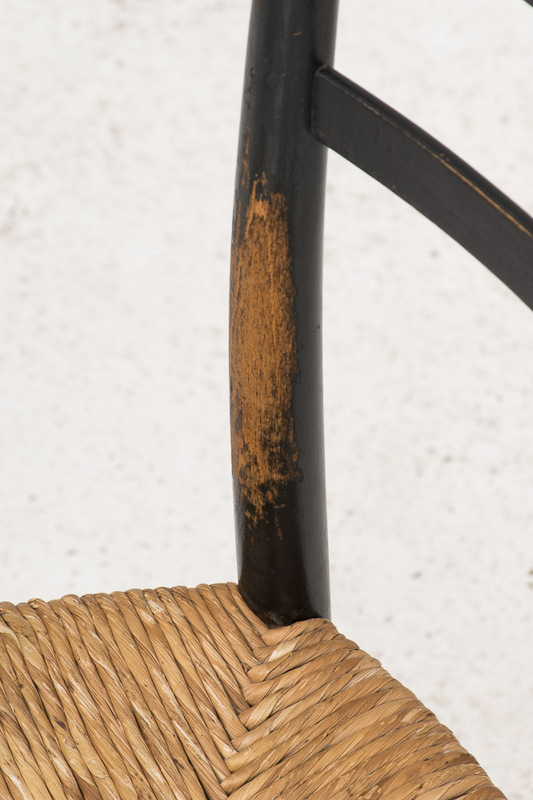 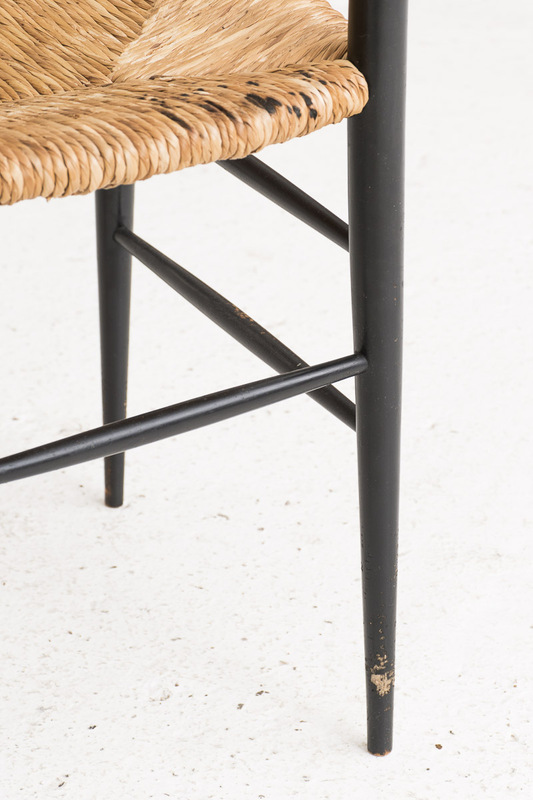 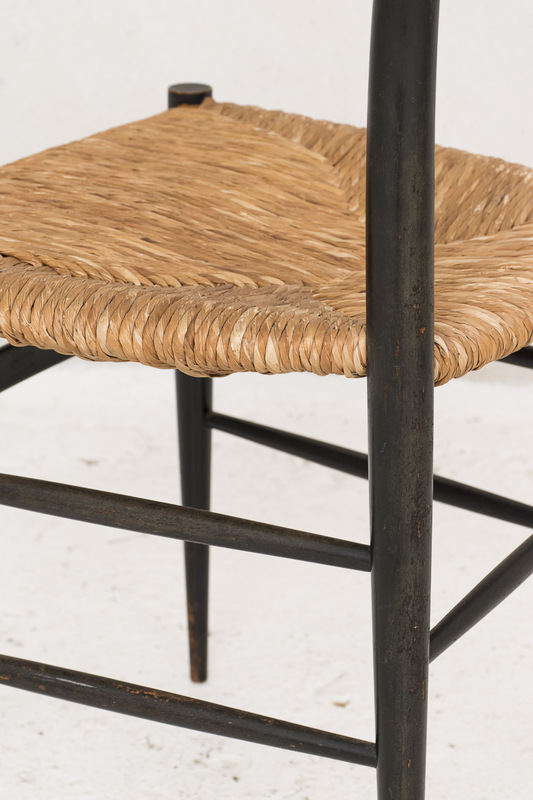 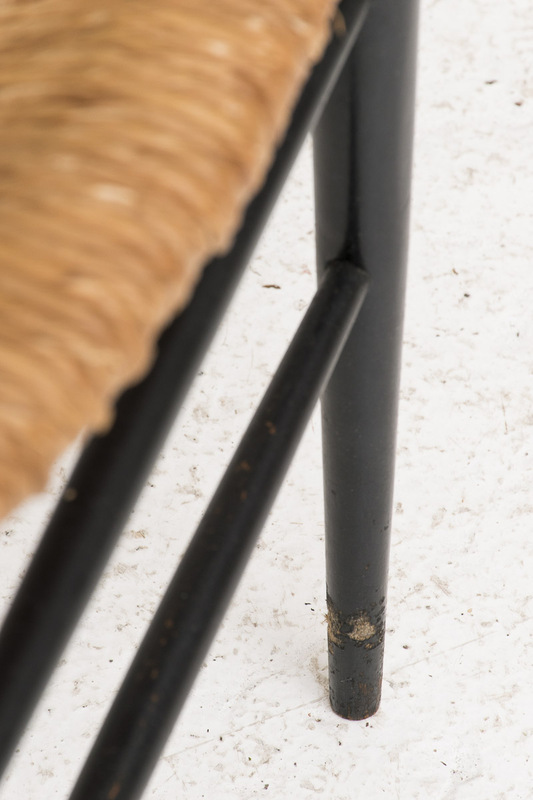 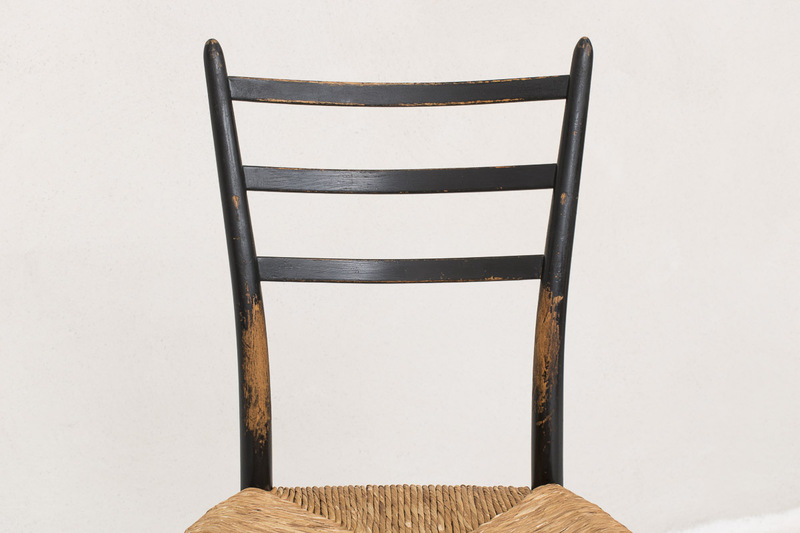 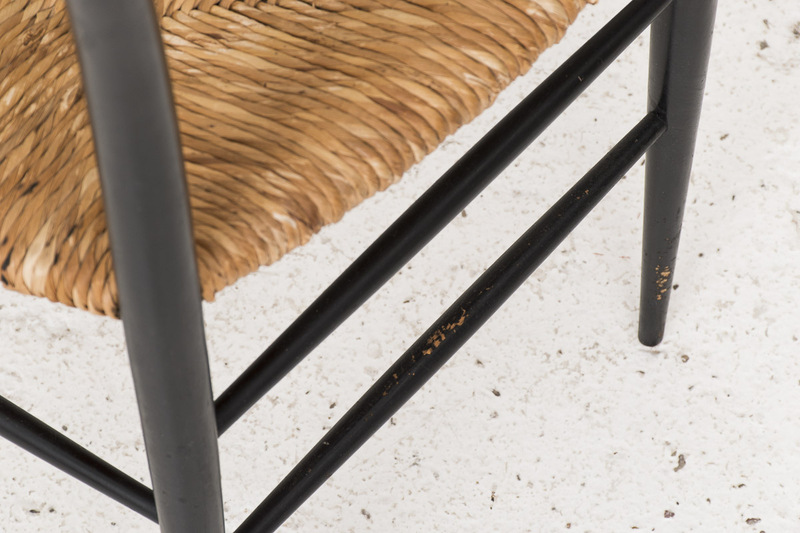 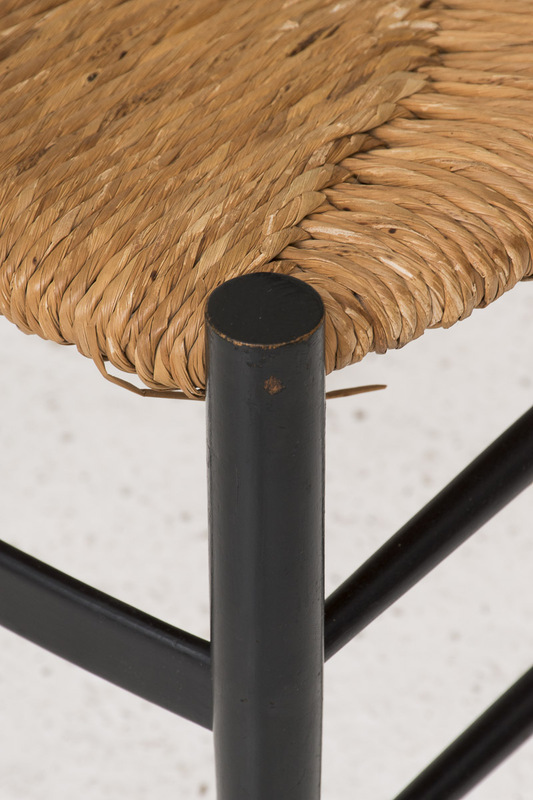 has a dark and minimal ebony structure with a wicker seat. 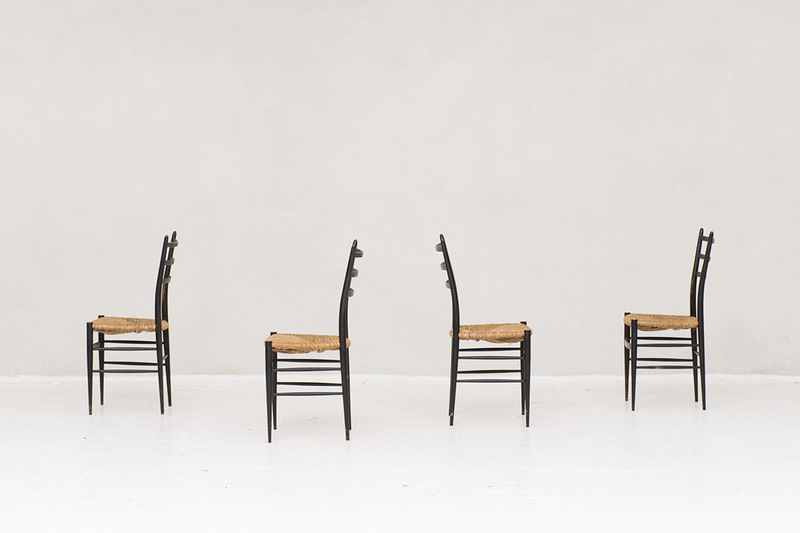 The chairs carry a Spinetto, Chiavari-mark at the bottom of the seating. 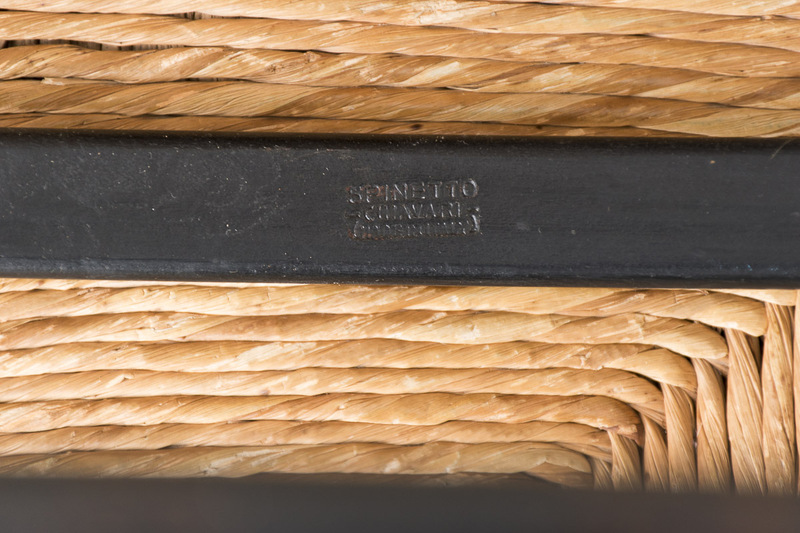 Signs from a previous life as shown in the pictures.